The former Deputy National Chairman of the PDP was last Monday jailed, alongside five others by Justice Olubunmi Oyewole of the Ikeja Division of the High Court of Lagos State . George, however, on October 28, 2009 approached the court for a post-conviction bail due to alleged congestion of cases at the Court of Appeal. He also said he needed bail on medical grounds pending the determination of his appeal by the Court of Appeal. But the EFCC, through its counsel, Mr. Festus Keyamo, raised a 26-point objection in its written address and counter-affidavit. The two documents were exclusively obtained by The Nation yesterday. The anti-graft commission faulted the claims of Bode George in his application and maintained that the convict has not shown that there are no enough medical facilities in Kirikiri Maximum Prison where he is holding court. “This crucial deposition is missing in the defendant's affidavit and even Exhibit C does not state the special training of the doctor in relation to the alleged illness of the Applicant. “In any case, like we deposed in paragraph 18 of our counter-affidavit, the 1st Defendant has not told the the court whether there are inadequate medical facilities in the prison yard. "Some old decisions that seem to suggest the court can take judicial notice of deplorable medical services in prisons are inapplicable here because apart from the passage of so much time between then and now, those authorities were not referring to Kirikiri Maximum Prisons. As such, there must be credible evidence before the court that Kirkiri Prison has inadequate medical facilities and that the drugs mentioned in Exhibit C are not available in the prisons, or that the defendant's personal doctor will not be allowed into the prison to administer the drugs. In Jimoh v. C.O.P (2004) 17 NWLR part 902 page 389 at 407 it was held that the mere fact that an Applicant for bail is sick, and without more, will not qualify him for bail. This is because there are medical facilities available in the various prisons to take care of inmates as and when the need arises. We therefore, most respectfully, invite the court to hold that the medical reasons given by the 1st defendant are not credible and do not constitute special circumstances. "The EFCC also asked the Court not to rely on subjective reasons to grant bail to George.It claimed that George can no longer be presumed innocent to warrant bail for him.The address said: "My lord, we submit that the grant of post-conviction bail or bail pending appeal is not made as a matter of course or by some subjective reasons. "This is because the principle of presumption of innocence no longer exists as a result of the conviction. See the case of Ani v. State (2004) 7 NWLR (872) 249. "However, the grant or refusal is not a matter of course. The court will not grant bail if the necessary materials that will lead the court to exercise its discretion one way or the other are not placed before the court. See the case of Buwai v. State (2004) (pt. 899) pg. 285 at 288 the court held that it is the duty of every applicant to present the necessary materials before the court in support of his application to enable the court exercise its discretion in his favour. "In the case of post-conviction bail, the conditions for the grant are more stringent. Over the years, case law has stated these conditions and they can be summarized as follows:• The applicant must show that special, unusual or exceptional circumstances exist for the grant.• That the applicant has indeed lodged an appeal at the Court of Appeal which is pending.• That the applicant has complied with the conditions of appeal to show his seriousness in pursuing his appeal.• That the Applicant did not previously jump bail and will not jump bail if granted. See the cases of Buwai v. State (2004) (pt. 899) pg. 285 and Fawehinmi v. State (1990) 1 NWLR part 127 pg 486. "We respectfully submit that ALL the said conditions must exist for the grant of bail as the existence of one or two will not suffice. See Buwai v. State (supra). "In the instant case, therefore, it is necessary to examine the above factors to see whether the applicant has placed all the necessary materials before this Honourable Court so as to call upon this Honourable Court to exercise its discretion in his favour. "My lord, what constitute "special", "unusual" or "exceptional" circumstances are not closed. But over the years the courts have held that "special", "unusual" or "exceptional" circumstances would mean, for instance;• If the applicant, being a first offender, had previously been of good behaviour.• If substantial and arguable grounds of law are involved in the appeal.• Where it may take a long time for the appeal to be heard, so much so that considerable portion of the sentence imposed would have been served before the appeal can be heard. "We also submit that all the conditions must exist for the court to exercise its discretion favourably. See Buwai v. State (supra). "In this case, the 1st defendant has deposed in paragraphs 8(a) that he has quite substantial and arguable grounds of appeal. But in our own paragraph 7, we have said that the grounds of appeal are mostly on facts and they are not some recondite point of law that will task the ingenuity of the Court of Appeal. "We see none in the grounds of appeal. We invite the court to hold that the Grounds of Appeal as couched do not constitute special circumstance to warrant the grant of application." The commission added: "We have shown, by examples, that a diligent appellant can compile his records in two (2) weeks; that appeals, like those of Ibori v. F.R.N was heard in less than one (1), two (2) and nine (9) months; that we have treated appeal cases filed later than 2005 at the Court of Appeal; that two panels now sit at the Court of Appeal and attend to cases expeditiously and that criminal appeal take priority. "In order words, my lord, the facts are contested by the Respondent. And in any case, the applicant has a chance to bring this same application at the Court of Appeal when it would have been clear to all and sundry then that he has done all that is necessary for an appellant to do to hear his appeal. But to grant it at this stage would be premature as it is not clear whether the 1st defendant is serious about pursuing his appeal or not or whether he would go to sleep after the grant. We invite the court to hold that the reasons given in paragraphs 8(b)-(f) do not constitute special circumstances. "As regards paragraph 9, 10 and 11 of the 1st defendant's affidavit, we have shown the court that three criminal cases of Ibori v. F.R.N, with the diligence of the lawyers involved, were all heard within nine (9) months. And that the service of prison sentence does not frustrate a criminal appeal nor does it obliterate the constitutional right of appeal. We invite the court to hold that the depositions in paragraphs 9, 10 and 11 do not constitute special circumstances." 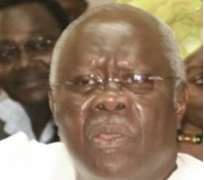 The EFCC also said there is no congestion at the Court of Appeal as stated in Bode George's application. In the counter-affidavit sworn to by Anthony Omaghomi Esq. from the Chambers of Festus Keyamo, the EFCC said: "That in addition to the above, the 1st Defendant has not attached a cause list of the Court of Appeal to his application to show the congestion at the Court of Appeal. "That in addition, our chambers was part of the election petition team of Atiku v. Yar'Adua, and because of the diligence of the team, we compiled and transmitted records and exhibits covering 36 states seven times more voluminous than the one in this case in less than three (3) weeks from the Court of Appeal to the Supreme Court. "That in response to paragraphs 8(c), 8(d), 8(e) and 8(f), apart from the facts that the depositions therein do not constitute special circumstances, the Court of Appeal, Lagos Division now has two panels sitting and are expeditiously disposing of appeals. "In addition to the above, it is not true that only appeals of 2004-2005 that are being attended to as the Court of Appeal, Lagos Division has heard and determined appeals from our chambers much later than 2004-2005. "An example is Appeal No. CA/L/869M/2006: Mudasiru v. Abdullahi & Ors, a civil case for that matter, filed in 2006, which was originally ripe and listed for hearing in about a year, but for various amendments made to our Notice of Appeal which delayed the hearing and it has finally been disposed of". "In addition to the above, appeals are not taken in the order that they are filed because priority is given to criminal appeals".
" For instance, the three criminal appeals of James Ibori v. F.R.N (2009) 3 NWLR (pt. 1127) 94 and James Ibori v. F.R.N (unreported) CA/K/81C/2008 delivered on 17th July, 2008 and James Ibori v. F.R.N (2009) 3 NWLR (pt. 1128) 283 were all heard and determined within one (1) month, two (2) months and nine (9) months respectively, by the Court of Appeal, Kaduna, which had only one panel sitting at that time and which is more busy than the Lagos Division because then it covered nearly ten states of Northern Nigeria (before the recent creation of Sokoto Division).